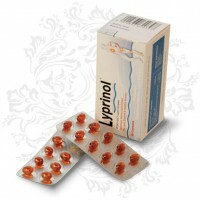 Extensive scientific research has shown that Lyprinol PCSO-524® is extremely beneficial in aiding and/or treating osteoarthritis, rheumatoid arthritis and asthma (including exercise-induced asthma). This natural supplement, derived from the oil of the New Zealand green-lipped mussel (Perna canaliculus) contains a host of omega 3 PUFAs (polyunsaturated fatty acids) that work together to relieve pain and inflammation - both of which are presenting symptoms in all three these conditions. Lyprinol PCSO-524® contains no protein and is therefore, also suitable for people who suffer from seafood and shellfish allergies.